Here in Hawai’i, surrounded by the Pacific Ocean on the world’s most remote island chain, I am very aware we live on an ocean planet. In fact, I have always been drawn to the sea, whether tide-pooling as a child, learning to SCUBA dive as a high school student, or spending a semester at sea aboard a sailing ship as a college student. 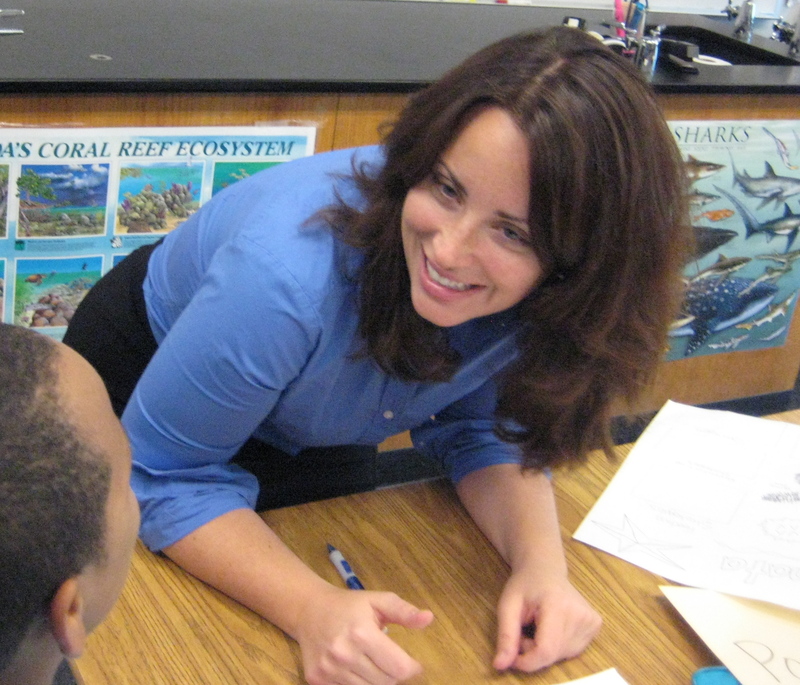 In my role as a science educator I have always tried to inspire students to investigate local marine ecosystems and understand the ocean’s importance to our Earth. Thus, it is a tremendous professional honor to have been selected as a 2015 Teacher at Sea by the National Oceanic and Atmospheric Administration (NOAA). NOAA’s Teacher at Sea Program, now in its 25th year, provides K-12 or college educators the chance to contribute to current oceanographic research aboard a NOAA vessel. Missions usually fall into three main categories: fishery surveys, hydrographic work, or physical oceanography studies. Participating teachers use this hands-on, real-world learning opportunity not only to develop classroom lessons but also to share the experience in their classrooms, schools, and communities. I am thrilled to report that I have been assigned to a fisheries cruise, a pollock survey aboard NOAA Ship Oscar Dyson. The port of call is Kodiak, Alaska, and I am especially excited about the location because it will be the 50th state I have ever visited! I have always been fascinated by the science, economics, and history of fisheries. 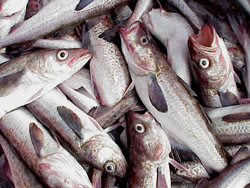 The pollock fishery is one of the world’s largest, and these fish are also vital to the Bering Sea ecosystem. I cannot wait to learn more about pollock ecology and see how scientists assess the size and health of pollock populations and, therefore, the sustainability of the fishery. This blog will record my time at sea aboard the Oscar Dyson, but my intent with this first entry is to introduce myself and share a little about my background in teaching. My nearly ten-year career in education has included teaching secondary science in St. Lucie County, Florida, as well as coordinating that school district’s science curriculum, instruction, and assessment as the K-12 Science Curriculum Supervisor. 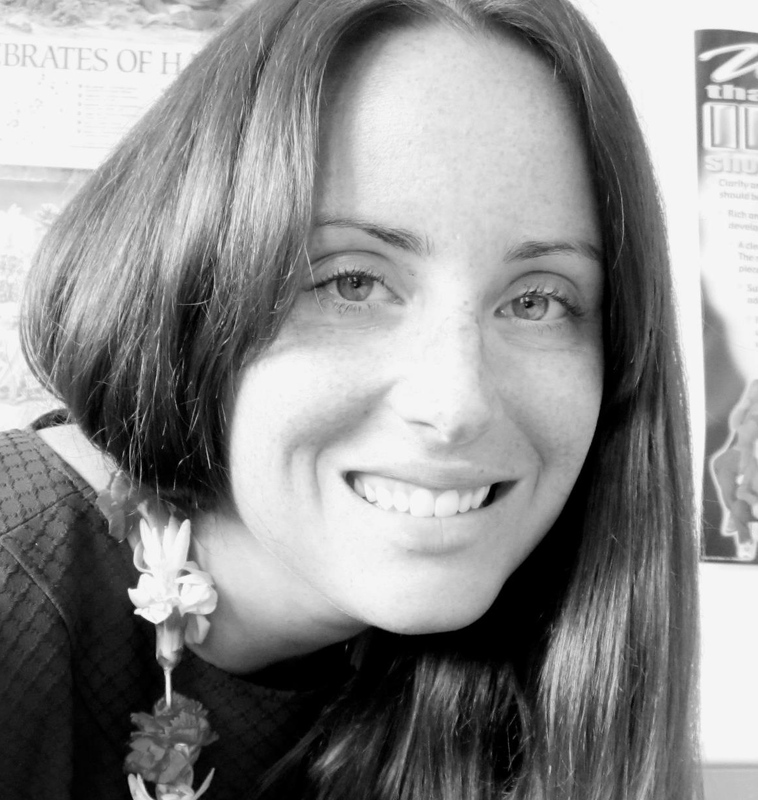 Since moving to Hawai’i, I have taught middle school science (grades 6-8) at Star of the Sea School and served as the school’s Assistant Principal. Working with middle school students is my passion, for I love their energy and curiosity! I have always valued experiential learning, whether in the lab or in the field. 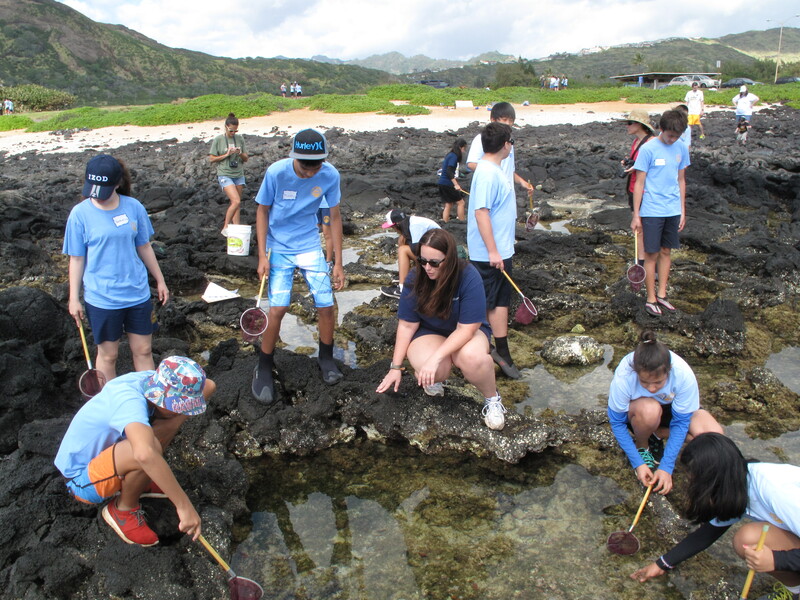 Here on O’ahu, I enrich my curricula with the unique natural and cultural resources our island provides. One of the projects I am most proud of was a collaboration with the Hawai’i Nature Center; together, we facilitated a yearlong STEM program investigating the effects of climate change on Hawaii’s ecosystems called From Mauka to Makai: Understanding Climate Change in the Ahupua’a. This program included a mountain (mauka) stream study, a coastal (makai) study, and a final conservation project. This place-based program encouraged environmental stewardship. To read more about my teaching, please visit my website. The ability to transition between the roles of student and teacher, often and with great enthusiasm, has facilitated my success as an educator. I consistently seek out opportunities for professional growth in order to best serve my students. My Teacher at Sea voyage will no doubt be one of those powerful learning opportunities. Doing science at sea is a unique challenge, and I am eager to join the ship’s community and contribute to our shared mission. Indeed, my next blog entry will be from aboard the Oscar Dyson, when I am immersed in the current methods and technologies of fisheries science. For now, I will concentrate on researching previous NOAA pollock surveys, packing plenty of layers to keep me warm, and preparing for this adventure. 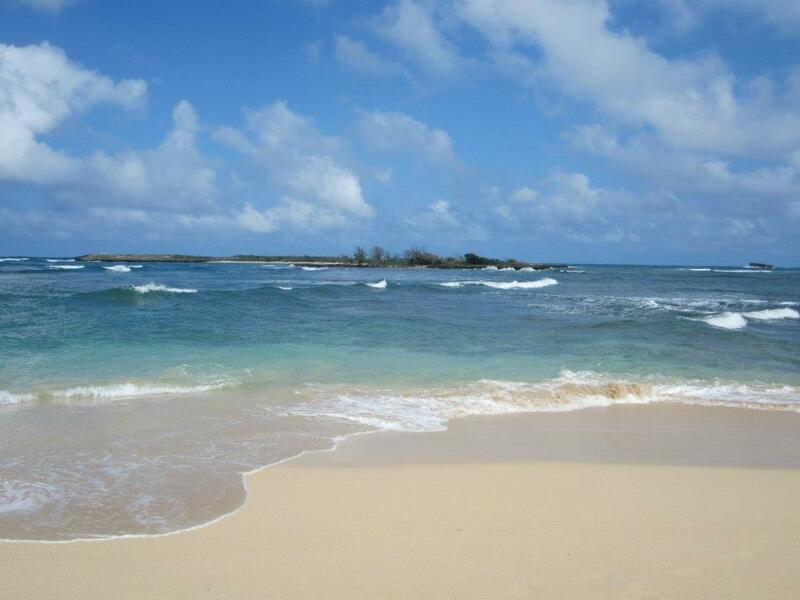 The Pacific Ocean as seen from Malaekahana Beach. I will have a different view soon! This entry was posted in 2015, Cristina Veresan, NOAA Fisheries Service, NOAA Teacher at Sea and tagged hawaii teacher, introduction, Kodiak Alaska, NOAA Ship Oscar Dyson, NOAA Teacher at Sea, Pollock Survey. Bookmark the permalink. I’m excited to hear about this expedition – Alaska is a special place and I know you’ll provide an insightful perspective on the fishery. My son just left on a NOAA RV from Kodiak for a 3 week tour. Very Nice work you Do!!! So excited for you. Your students will benefit from this adventure as will those of us reading your blog. Good luck! Greetings fellow TAS! I will be sailing soon, too. I hope you have a wonderful experience at sea! I am so excited to read about your experiences! Can’t wait to learn more from you Cristina. Have a safe and wonderful trip. Good luck and enjoy your adventures!!! Keep warm.